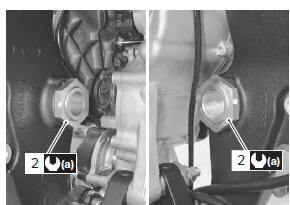 Remove the swingarm pivot boss nut (1). 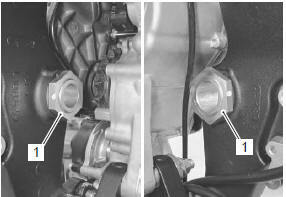 remove the swingarm pivot boss only when replacing it. Remove the swingarm pivot boss (2) by removing its set screws. install the swingarm pivot boss (1). 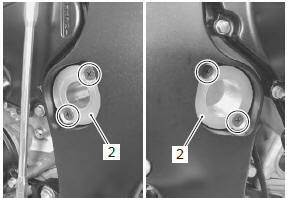 Tighten the swingarm boss nut (2) to the specified torque.